The nature of funding varies widely. Opportunities highlighted here range from large competitive fellowships that pay tuition and stipends, to targeted grants that assist with foreign language study, dissertation research, and conference travel, to emergency grants and awards designed to help students manage student loan debt. Rackham Graduate School administers two types of fellowships, grants and scholarships. For those requiring a program nomination or allocation, the graduate program submits a nomination on behalf of the student for a competition or allocated award; students may not apply directly for these awards. For the second type, a program nomination is not required and students may apply directly. 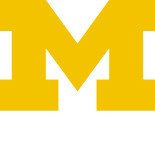 Please note that students who qualify for need-based financial aid (including the child care subsidy) and receive additional Rackham funding may be subject to a reduction in the original loan amounts or subsidy. Contact the U-M Office of Financial Aid for help evaluating your individual circumstances. Visit the University of Michigan Library’s guide to finding scholarships, fellowships, and research grants to fund your U-M education.